If you or someone you love is in need of qualified and compassionate home health care in Pompano Beach, Consider Us at Value Care today. Operating since 2007, we well understand the importance of finding the right care for our clients. We spend extensive time matching our clients with qualified and caring home health professionals. Our stringent screening and testing processes ensure every caregiver we recommend is a better match for you, and for your budget. Additionally, Value Care has unique screening program called our FIVE STAR PROMISE. At least one year of experience in the home health care field. Great references within the home health industry. The ability to pass verbal communication tests. The ability to pass written communication tests. A mastery in transfer techniques to safely move clients between seating, baths, etc. After screening each caregiver we can then make confident referrals based on our clients’ specific needs. Personal support like bathing, dressing and bathroom help. Neighborhood errands like food shopping, going out to eat, and transportation needs. Homemakers to help with organization, cleaning, pet care, and little things around the house. Companionship. Someone who listens and cares about your loved one. 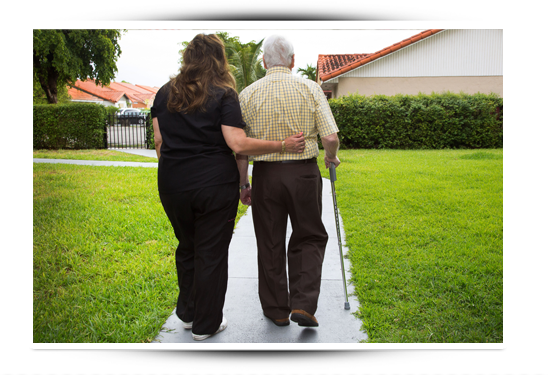 We care greatly for our clients and their well-being, and know you’ll be happy when we refer you a professional caregiver in Pompano Beach. This is why we guarantee your satisfaction on your first day together, and why we can help you to find More Help with Less Worry.